Fiat India has launched the rugged looking Fiat Avventura in Chennai today at Rs.6.12 lacs. The Fiat Avventura, spruced up version of the Punto Evo, will be available in both petrol and diesel versions. Unlike the other cross hatchbacks (read Etios Cross and Cross Polo), which are just cosmetic add-ons, the Avventura gets several functional upgrades like 205 mm ground clearance, functional roof rails, high terrain gauges, 16-inch alloy wheel and more. He said that Fiat took time to listen to the customers and their feedback to add in the new features in the Avventura. He also said that India is the first country to get the Avventura and export of the car may happen from India in the future to right hand drive markets. Commenting on the fourth product from the Fiat stable, Mr. Nagesh Basavanhalli said that the Abarth 500 will be launched in India in December and will be brought in as CBUs initially. 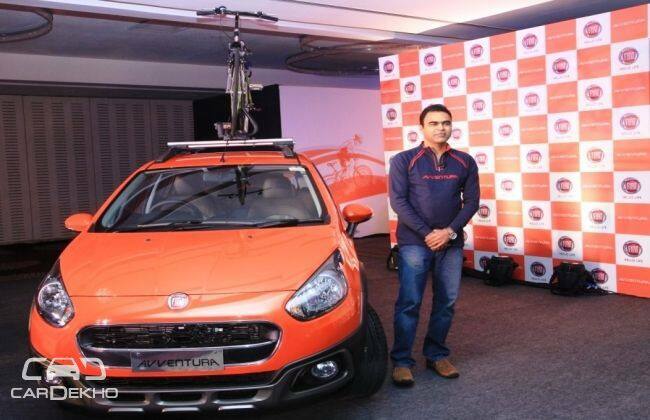 Fiat Avventura to launch Tomorrow!